The project, which uses batteries from Anesco’s usual supplier BYD, was commissioned in June this year and has been acquired for an undisclosed figure. It is one of a number of deals that Eelpower plans to complete between now and 2022 to deliver 1GW of storage capacity, at an estimated cost of £500 million. Like these projects, the Rock Farm scheme – located near Ludlow in Shropshire - will be linked to aggregator Limejump’s virtual power plant to access revenue streams such as frequency response and wholesale trading. The battery, which will be monitored by Anesco’s specialist O&M service, AnescoMeter, is now Eelpower’s seventh project. Late last year, the flexibility services provider snapped up Anesco’s 10MW Leverton storage project in Lincolnshire. The pair also worked together on developing the UK’s first project to co-locate battery storage with hydro generation, deploying two 1.2MW/1.2MWh batteries at the 260kW Thrybergh project near Rotherham, and at Knottingley (500kW) near Wakefield in January this year. Steve Shine, Anesco executive chairman, said: “We have now developed a number of highly successful projects with Eelpower and our teams work very well together. [Rock Farm] is a good example of the sort of profitable, large-scale project we are now focussed on." Eelpower has also acquired a 10MW scheme near Winchester and an 8MW scheme in Cumbria, both of which are expected to be completed later this year. In total, the company hopes to construct up to 80MW of electricity storage capacity over the next 6-8 months, with a further 100MW every 3-6 six months. Mark Simon, chief executive of Eelpower, said: “With the transition to a flexible, decentralised energy system moving at pace, Eelpower is responding to the market opportunity. We intend to deploy significant battery capacity – 1GW by 2022, to provide National Grid and local grid companies with the flexibility that the system needs while building a platform for us to profitably trade electricity. 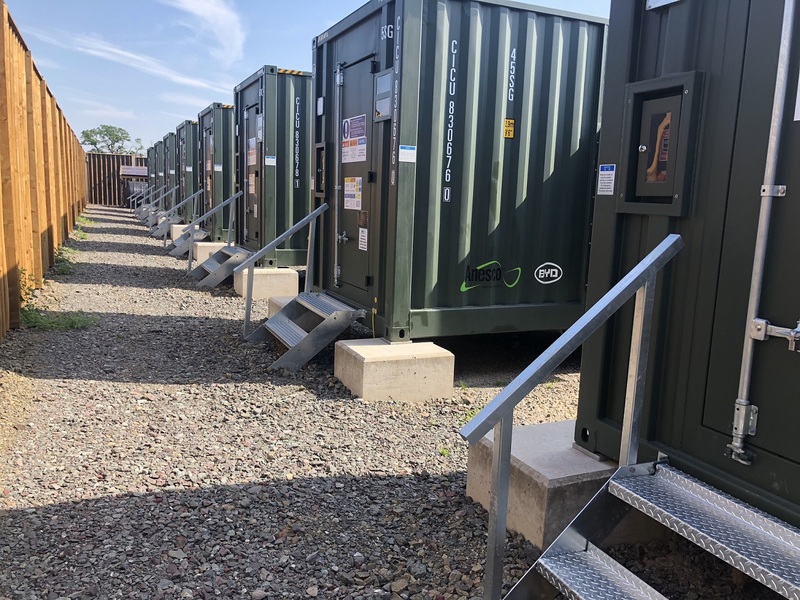 Describing itself as the UK’s largest energy storage developer, Anesco currently has 29 operational sites with a combined capacity of 87MW – a figure which it expects to exceed 380MW by 2020. “Anesco’s pipeline is strong and continues to grow, as investors increasingly recognise the energy storage opportunity,” Shine added.